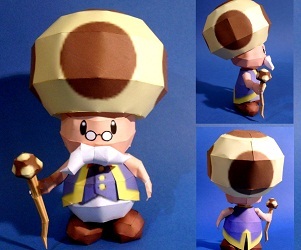 Toadsworth is a Mario character whose first appearance was in Super Mario Sunshine, as Princess Peach’s steward. Since then he has had various cameos and small roles, especially in the non platforming games. This entry was posted in mario on 04/03/2015 by ToyXD.